ACM SIGGRAPH is an international organization, with members focused on creating and discovering computer graphics/interactivity at companies, studios and research centers around the world. 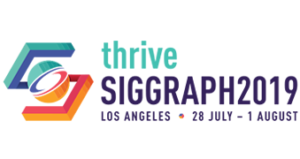 Attendees and contributors of its annual conferences travel far and near to create, inspire and enjoy the vibrant sense of community that is SIGGRAPH. 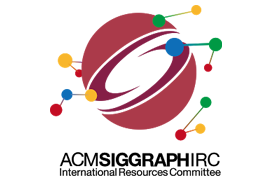 To support this, the ACM SIGGRAPH International Resources Committee (IRC) hosts the International Center at the SIGGRAPH conference, and also drives year-round strategies that promote ACM SIGGRAPH, connect our global community, and provide useful services. Are you a planetary citizen interested in international culture and the state of computer graphics across the globe? 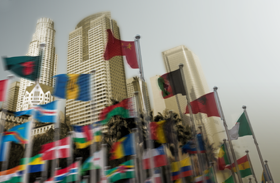 The International Resources Committee is staffed by volunteers who represent the regions of the world. We are always looking for people interested in joining us, to help with our year-round activities, including work at the SIGGRAPH conferences. Submit your interest to find out more. Every year, the International Resources Committee produces audio guides (audio files and text documents in PDF format) that highlight the work displayed in the Art Gallery and the demos in Emerging Technologies (and other areas, from year to year). The podcasts are available in multiple languages, including: English, Arabic, Chinese, Japanese, Korean, Polish, Portuguese, French, Russian, Spanish and Turkish. 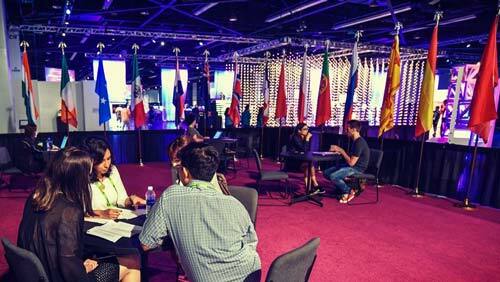 At the SIGGRAPH conferences in North America, the International Center features a visitor-services booth, a lounge, and the ACM SIGGRAPH Theater: a space for meetings, talks and demonstrations. This is the place for attendees from overseas to meet peers, chill-out during conference, and get to know more about what is happening in CG around the world. At the SIGGRAPH Asia conferences we host a visitor-services booth, and since 2016 we organize regional sessions that take place in one of the conference rooms. Would you like to hold a presentation at the ACM SIGGRAPH Theater? Contact us. Will you need a visa to travel to the SIGGRAPH conference? What interesting events are happening in town during the conference? Which hotels offer shuttle service to the conference? Where can one exchange currency? We have the answers to your questions. At SIGGRAPH 2018, we want all our attendees to know more about the internationality of ACM SIGGRAPH, the conference itself, and the many contributors that make it possible. 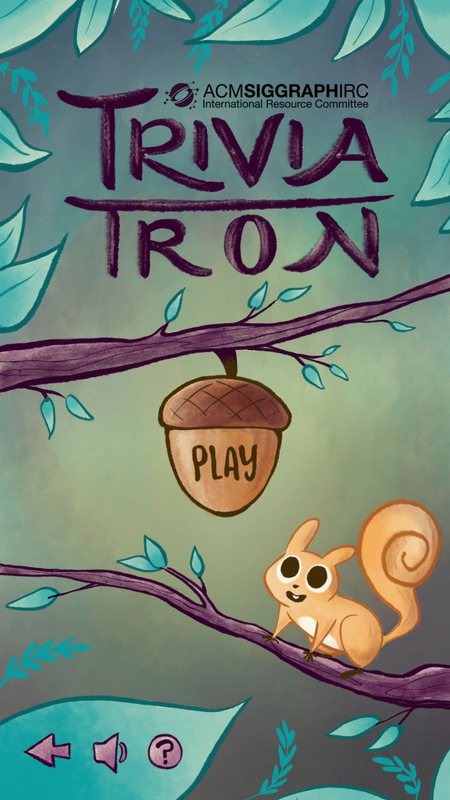 For that reason, we have developed Triviatron — a trivia game with fun facts and useful information about the present and past of SIGGRAPH. Download the Scavenger AR app, answer all the questions of Triviatron, and come to the International Center at SIGGRAPH 2018 to pick up amazing prizes!